A Woman Alone (still), 2017, single channel digital video, 16:9 dimensions variable. 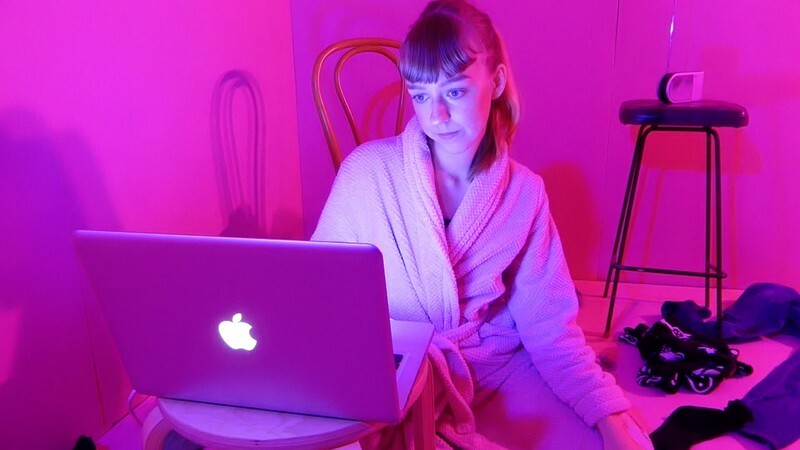 Since completing a Bachelor of Fine Arts (Honours) at RMIT in 2009 Jessica McElhinney has been making and exhibiting video art. Recent exhibitions include solo show The Jess Trap at the Centre for Contemporary Photography in 2013, and group shows 1000 2000s SOAP at Blindside in 2016, Island Salon at Cockatoo Island as part of Underbelly Arts Festival in 2015, and Twice As Nice at Bus Projects in 2014.